The status of Western Sahara’s territory remains the subject of a dispute between the Kingdom of Morocco and the Sahrawi independence movement, the Popular Front for the Liberation of Saguia el Hamra and Rio de Oro (Polisario Front). The armed conflict over Western Sahara broke out in 1975 between Morocco, Mauritania and the Polisario Front. Since the 1991 ceasefire, however, Western Sahara’s status has remained a point of contention between Morocco and the Polisario Front. As a result of the 1975–91 armed conflict, families continue to risk death or injury from mines/explosive remnants of war (ERW), particularly on either side of the Berm, the demarcation line between Moroccan-controlled and Polisario Front-controlled Western Sahara. 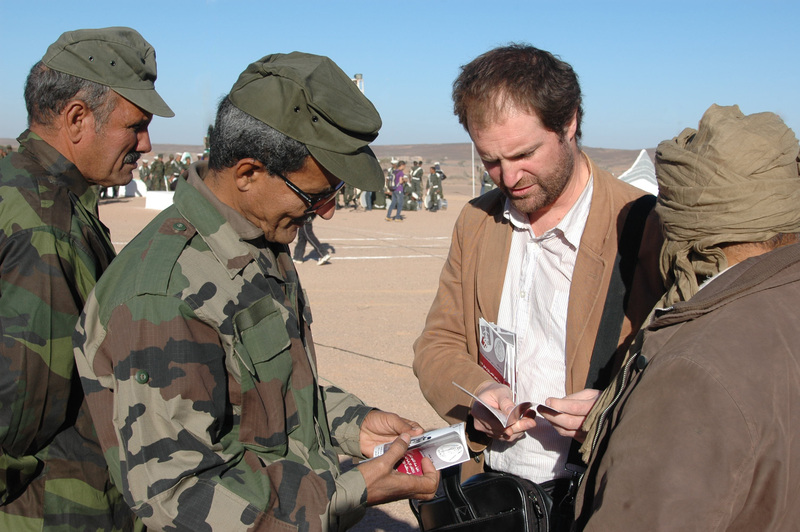 Geneva Call has been working in Western Sahara and the Sahrawi refugee camps in Algeria since 2000. 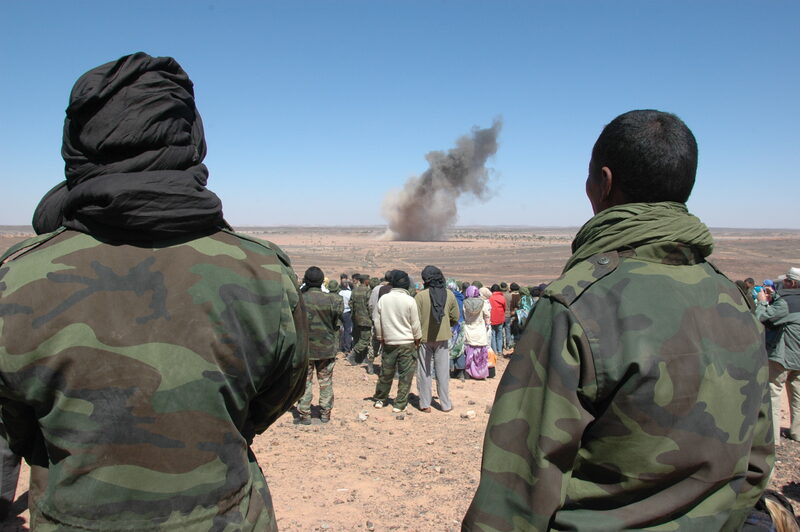 Together with a local non-governmental organization (NGO), it supports the Polisario Front in its efforts to implement the Deed of Commitment banning anti-personnel (AP) mines that it signed in 2005. This includes facilitating communication with mine action agencies regarding stockpile destruction and clearance activities, including the removal of ERW. Since 2011, Geneva Call has also been conducting training on humanitarian norms for members of the Polisario Front. The Polisario Front signed the Deed of Commitment banning AP mines and destroyed more than 10,000 stockpiled AP mines. Discussions are conducted at the highest level to plan the destruction of the last remaining stockpiles. 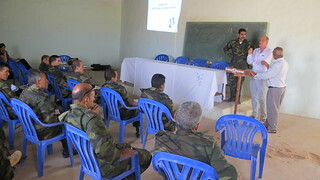 Senior military officers of the Polisario Front have been trained in International Humanitarian Law. In 2015, the Polisario Front became bound to the Geneva Conventions and the first Additional Protocol when Switzerland, as the depositary of these treaties, accepted the Front’s unilateral declaration.